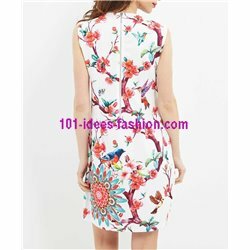 choose the beautiful clothes available in 101 idées online store, we have several Tunic / Short Sleeve Dress / Spaghetti Strap Dress | SUMMER ☀️, online sale of bohemian and chic women's clothing, you can find a variety of models of women's clothing at cheap prices. 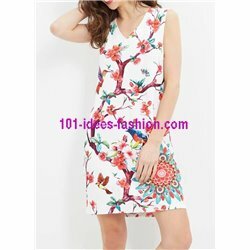 Tunic / Short Sleeve Dress / Spaghetti Strap Dress | SUMMER ☀️ brand of clothing made with quality fabrics, online sale of original clothing, chic hippie, tribal fashion, ethnic patterns, african and indian, spectacular Tunic / Short Sleeve Dress / Spaghetti Strap Dress | SUMMER ☀️ of the current collection 2019 2020 with weekly news, we also have weekly promotions Tunic / Short Sleeve Dress / Spaghetti Strap Dress | SUMMER ☀️ with low cost prices, sale of women's clothing online, cheap clothes, French, Italian and Spanish fashion is the your fashion shop 101 idées online store, expeditions to the whole world. 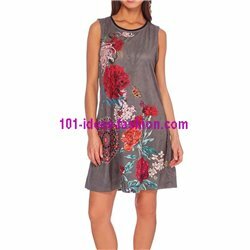 101 idées online store: Tunic / Short Sleeve Dress / Spaghetti Strap Dress | SUMMER ☀️, online sale of original clothing, chic hippie, tribal fashion, ethnic patterns, african and indianThere are 270 products. fashion trends to start wearing now. From pastels to summer sequins, the key looks to have on your radar. We're feelin' those florals at shop 101 idees fashion for this season. From big blooms to graphic and abstract via teeny tiny ditsy florals we've got whatever you want covered. Fresh and feminine, floral dresses are a wardrobe staple season after season. From shift dresses to swing numbers; eye-catching bodycon minis to elegant midis, we've got it all right here for you. All the fierce colour pop trends are in there too from monochrome magic to blinding neon and powdery pastels its there in our selection. Work a touch of flower power magic into your wardrobe this season, and be the prettiest fashionista around.